Come aboard and see the historic Arctic Sunrise for yourself! Here you'll find details on setting up public and private tours, accessibility, FAQs, and where to find us. Note: The ship will be by the intersection of S Nimitz Hwy and Nuuanu Ave, at Pier 12 just west of the cruise ship terminal. Tours will occur continuously throughout the day. Depending on the number of visitors, the wait could be up to 30 minutes. 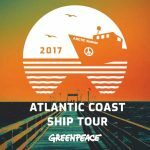 Any cancellation of tours will be listed on https://www.greenpeace.org/usa/about/shiptour/ and on the Facebook event. For those visiting the ship, please keep in mind that the Arctic Sunrise is a working vessel. There is a steep and narrow gangway to cross in order to board the ship. Please remember that there is inherent instability to a ship in water, and there will be steep stairs involved in the tour. We recommend wearing close-toed shoes. Arctic Sunrise crew members will be prepared to provide an equivalent, virtual tour experience for those wishing to visit the ship but who are unable to complete the tour. Service animals are allowed on board. The Arctic Sunrise is a working ship. Please wear sturdy and flat shoes, and dress appropriately for outside weather. Unfortunately, the Arctic Sunrise is not wheelchair accessible, however we want all visitors to be able to tour the ship. Arctic Sunrise crew members will be prepared to provide an equivalent, virtual tour experience for those wishing to visit the ship but who are unable to complete the tour. Are there bathrooms on the ship? There are no public restrooms on the ship, portable toilets will be provided and public restrooms are located a few blocks down the road in the Aloha Tower Marketplace next to the Security Station and Aloha Tower. No reservation is needed to attend an Open Boat tour of the Arctic Sunrise. Tours will take place October 13th and 14th and October 27th and 28th from 10:00 AM PT- 5:00 PM PT and are on a first come, first serve basis. If you would like to schedule a group tour, please send an email to shiptour@greenpeace.org. Tours of the ship will last approximately 30 minutes. However, there will be Greenpeace staff and volunteers on the pier to continue answering your questions and talking about the important steps being taken to stop plastic pollution in our oceans. Each tour group can take up to 20 visitors, and four tour groups can be aboard the Arctic Sunrise at a time. Tour groups will move through five “stations” – on the pier to view the whole ship, on the outside rear deck, the bridge, the bow and into the hold of the ship. Visitors will hear from the ship’s crew, Greenpeace staff and learn about the important steps being taken to pressure corporations to break free from single use plastics. Note: Living quarters, galley, and engine room are not included in the tour. What’s the best way to get to Pier 12 ? Is there parking? There are several ways to get to Pier 12. Public transportation is always best, but if arriving by car, there are several pay lots in the area. The closest parking lot to Pier 12 is the Pacific Guardian Center parking lot. If coming by public transportation, Pier 12 is located by several bus stops. For more information on public transportation, please see TheBus.org. 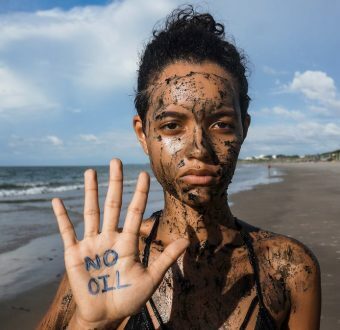 Can I buy a Greenpeace T-Shirt at the ship? No, we will not have t-shirts available for purchase. Will there be tours available in Spanish? No, we will not have tours available in Spanish. Animals are not permitted aboard the Arctic Sunrise. Service animals are permitted. Absolutely, families and children are more than welcome to visit the Arctic Sunrise. Strollers are difficult to handle on the tour, as there are a lot of stairs in the tour itself. Our quayside volunteers can mind strollers while you are on board. Can I volunteer on the ship while the Arctic Sunrise is docked in Honolulu? Yes, please fill out this form. 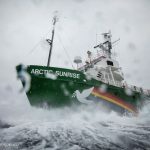 What is the purpose of the Arctic Sunrise coming to Honolulu? 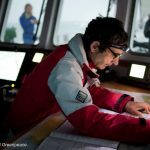 In most ports we visit around the world, Greenpeace invites the public on board our ships to learn about maritime operations, the history of the environmental movement and our organization, and to get involved in the environmental campaigns that we work on. 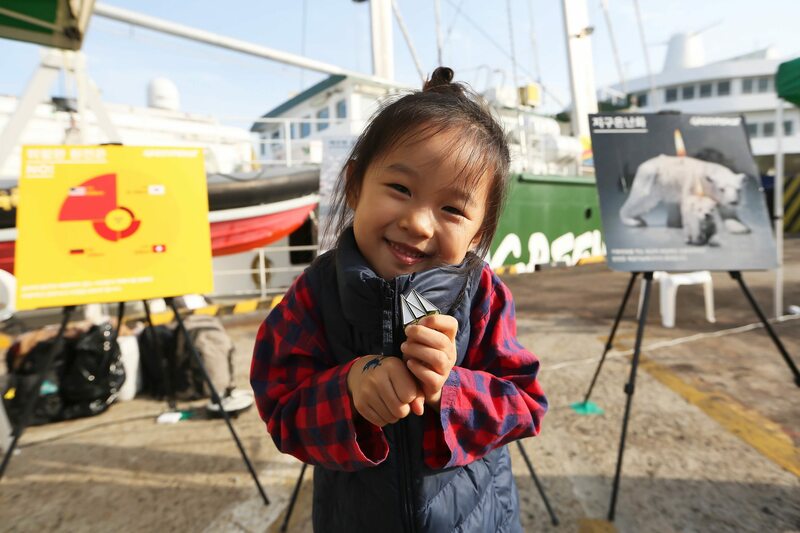 The focus of the Arctic Sunrise’s visit to Honolulu is to raise awareness around our #BreakFreeFromPlastics campaign. 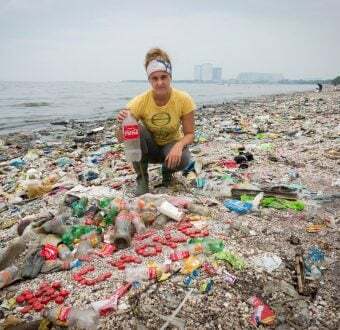 Corporations must reduce their production of single use plastic packaging during the tour we will be inviting the public to help us pressure companies to phase out unnecessary single-use packaging.